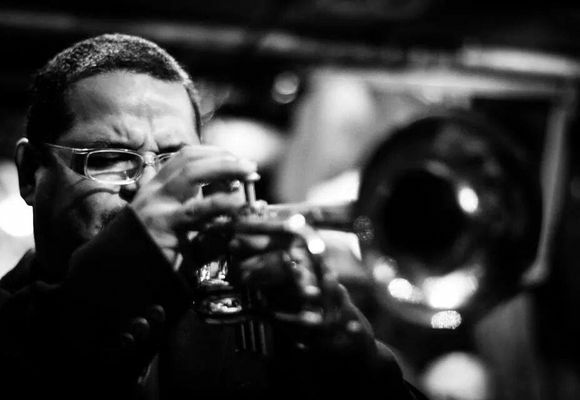 Grammy nominated producer and trumpeter Carlos Abadie, hails from Miami, Florida where his first professional musical endeavors were with Melton Mustafa and the great Ira Sullivan. Mr. Abadie decided to move to New York City in 1993 and quickly became entrenched in the New York music scene starting out with Jason Linder's Big Band.. Now over 20 years later Mr. Abadie has had the distinct honor of playing with Junior Mance, Louis Hayes, Illinois Jacquet, Ocean Pope, Jimmy Heath, Clark Terry, Ray Santos and his Orchestra, Bobby Sanabria, Manny Oquendo, Andy Gonzalez and many more.. Since 2007, Mr. Abadie has been leading his own Jazz quintet. And with his quintet he has played all of the major venues in New York and the tri-state area. Mr. Abadie started wearing the hat of producer in 2013 when he was asked by bassist and producer Andy Gonzalez for Mr. Gonzalez's album entitled Entre Colegas. Entre Colegas was nominated for a Grammy in 2016, Mr. Abadie was also a featured soloist on this album. Carlos Abadie is a constant musical presence and is revered by his colleagues on the New York jazz scene. Mr. Abadie continues to be a source inspiration to the musical community in NYCand to younger musicians just coming on to the scene.